In effect, she’s saying she would use prosecution as a weapon to protect Muslims from others employing their First Amendment rights. Seemingly, her greatest fear at the time was not another Paris, or San Bernardino, but “anti-Muslim rhetoric,” instead. The fear that you have just mentioned is in fact my greatest fear as a prosecutor, as someone who is sworn to the protection of all of the American people, which is that the rhetoric will be accompanied by acts of violence. My message to not just the Muslim community but to the entire American community is: we cannot give in to the fear that these backlashes are really based on. 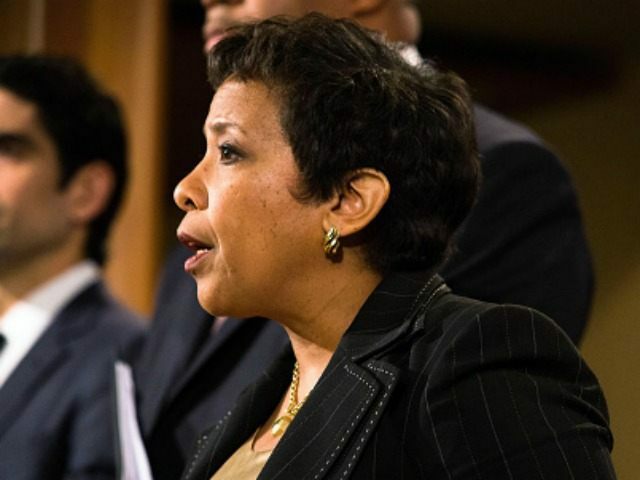 As for San Bernardino, yesterday at a press conference, Lynch said it presented a “wonderful opportunity” for change.